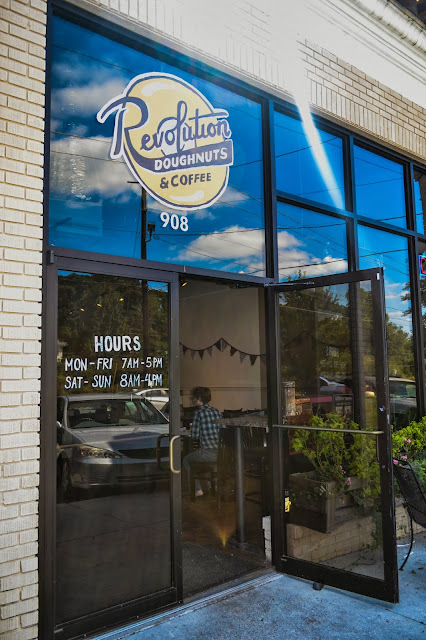 We've been hearing great things about Revolution Doughnuts for quite some time and decided to give them a visit and see for ourselves what all the buzz was all about. Revolution Doughnuts officially opened its doors on National Doughnut Day, June 1, 2012. This donut joint, is a favorite local spot in Decatur to meet friends and eat all natural hand-forged doughnuts. The beauty about this place is that all their doughs, glazes & fillings are all natural, made from scratch, free of trans-fat, & made by people, not by machines. They use organic flour and high quality ingredients like Callebaut chocolate, fresh seasonal fruit, and pure vanilla. 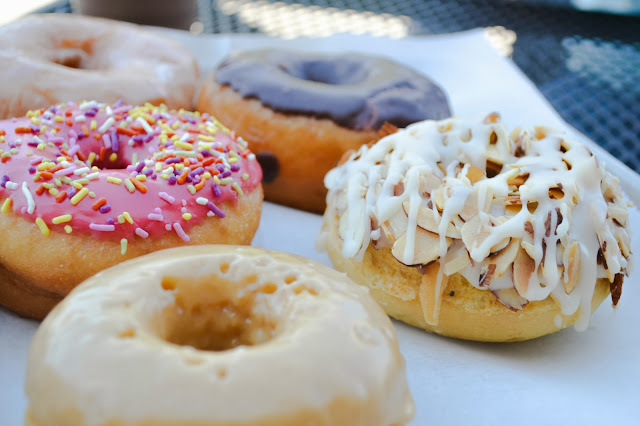 Revolution Doughnuts offer a variety of options for vegans and folks with sensitivities to gluten, eggs, or dairy. Revolution Doughnut is a small family-owned start-up baking company, formerly operating under the name "Little Red Hen Bakeshop.” They started baking in their home kitchen - then in borrowed commercial spaces - selling treats at local area farm stand markets, where they built up a loyal customer base. It has long been their dream to open a seven-day-a-week brick and mortar operation, a neighborhood cafe that combines hand-crafted treats and delicious locally roasted coffee. Revolution Doughnuts was born out of this dream. We ordered 3 yeast style doughnuts: Vanilla Bean, Dark Chocolate and Raspberry Sprinkle. The doughnuts are more dense than you expect, yet they super scrumptious and oh so tasty! We also try two cake doughnuts: Salted Caramel and Toasted Almond. They have a velvety chewy exterior and a dense but fluffy interior. I had trouble finishing one because they are so rich and heavy that it fills you up very quickly. The doughnuts are really good, and we love how they offer a lot of unique flavor combinations that works so beautifully. Overall, these deliciously messy doughnuts are hands down one of Atlanta's most most deliciously delightful food you can ever taste. 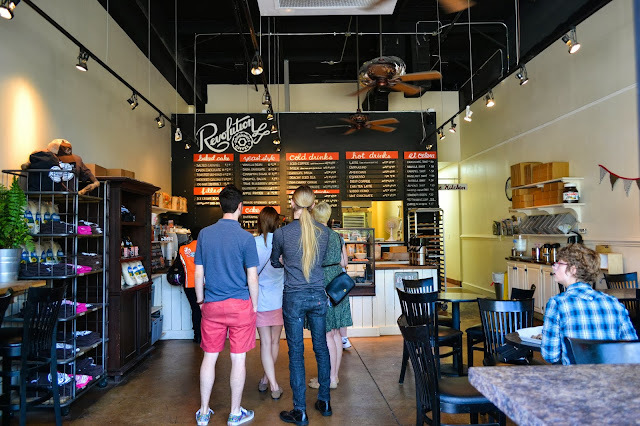 There's no doubt that Revolution Doughnuts is here to stay and we wouldn't be surprised to see this franchise expanding and opening new locations around Atlanta and beyond.